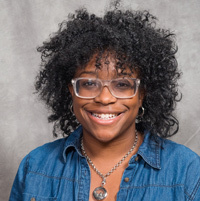 Teara Lander has been named assistant director for Webster University's Tinker Air Force Base, Oklahoma, campus location. "Teara brings her expertise and professionalism to lead our Tinker extended campus," said Sandra Kunz, regional director, Southwest Region. "She will support and advise our military and civilian students there, as well as seek new educational opportunities in the military community. She joins our Southwest team of Webster leaders, who look forward to getting to know her,” Kunz said. Lander said she is looking forward to opportunities at Webster. See academic programs available there at webster.edu/tinker.